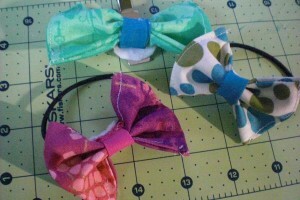 More hair ties!!!! They are the easiest things to make. 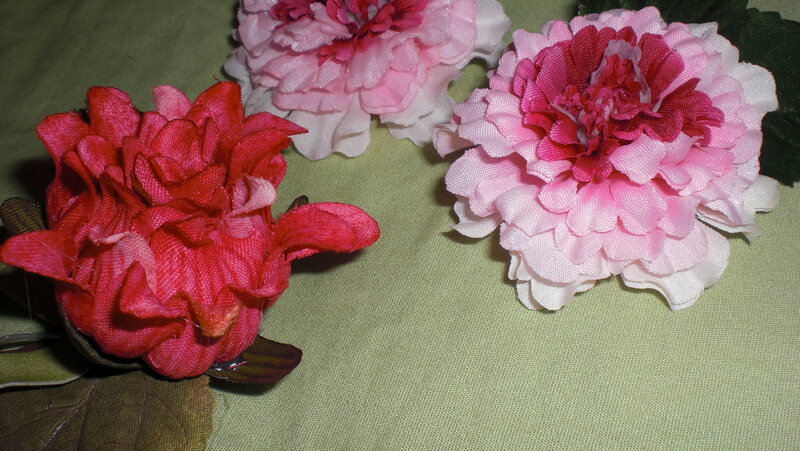 And frankly, its the only thing I can make with the supplies I have. 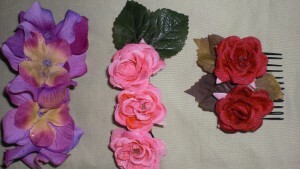 :/ Bows are super easy to make, if you aren’t a flower person these are a great alternative. One of my favorite bloggers posted a great version of hair bows. 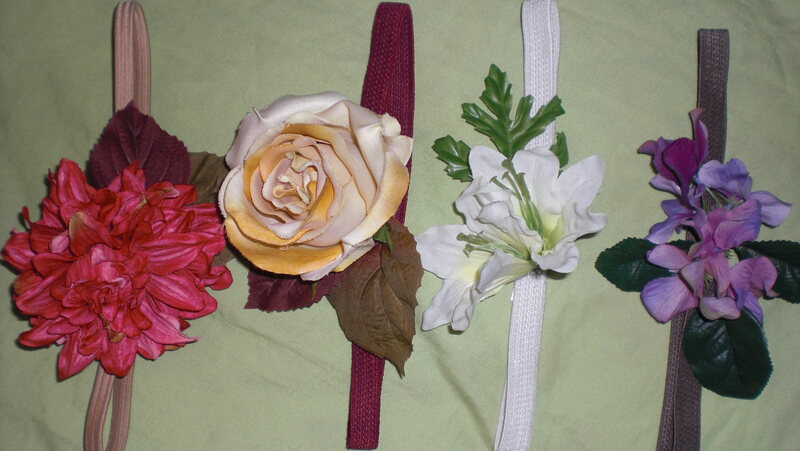 Just pick the type of clip or hair band or tie whatever you like using the most and grab your trusty glue gun and have at it. Just be very careful when using your glue gun because I’ve burned myself sooooo many times. So please be careful. 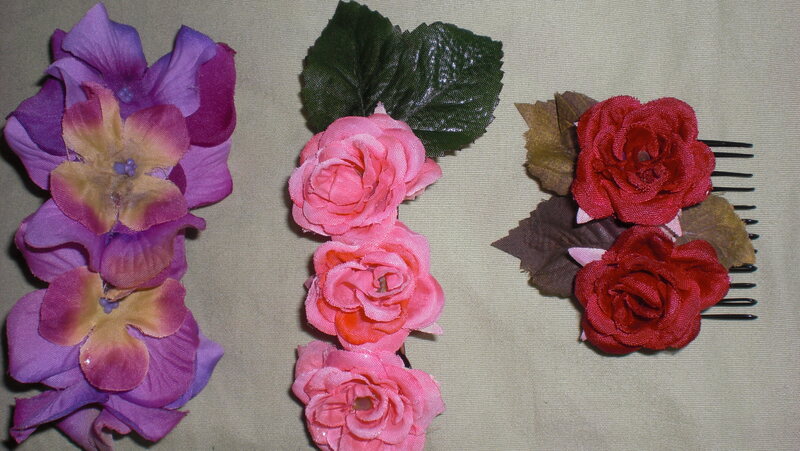 For some, it might be difficult to glue the flower/leaf to the clip so I use felt as a base. Its easy to hide and it holds.